You can use model metrics to assess that your model and code comply with size, complexity, and readability requirements. You can use the model metric API to create your own model metrics, compute metrics, and export metric data. Use the Metrics Dashboard to visualize the metric data. To get started, see Collect and Explore Metric Data by Using the Metrics Dashboard. Collect and view metric data for quality assessment. Use the model metric API to programmatically collect metrics for a model, such as subsystem and block counts. 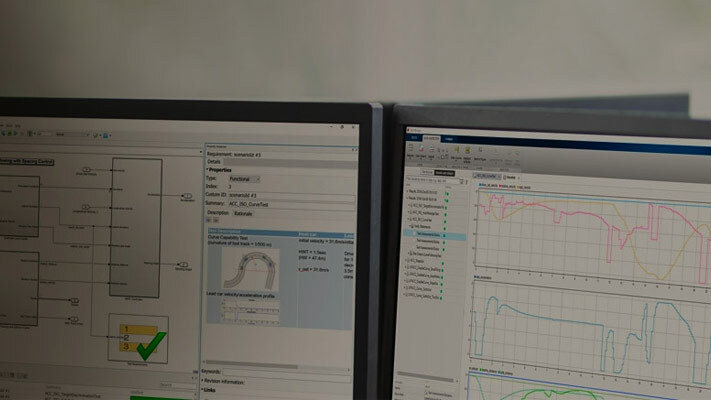 Model metrics provided by MathWorks that return metric data on your model for size, complexity, readability, and compliance to standards and guidelines. Options for defining model metric data aggregation and returning aggregated model metric results. Create a new model metric by using the slmetric.metric.createNewMetricClass function and defining the metric algorithm. You can use the Model Metrics Dashboard tool to enable subsystem reuse by identifying exact graphical clones across a model hierarchy. Assess model size, complexity, and readability, using the Model Advisor to run model metric checks. This example shows how to collect model metric data by using the Metrics Dashboard and explore detailed compliance results and, fix compliance issues by using the Model Advisor. This example shows how to use the model metrics API to collect model metric data for your model, and then explore the results by using the Metrics Dashboard. Use a continuous integration workflow to investigate whether your model violates metric threshold values.